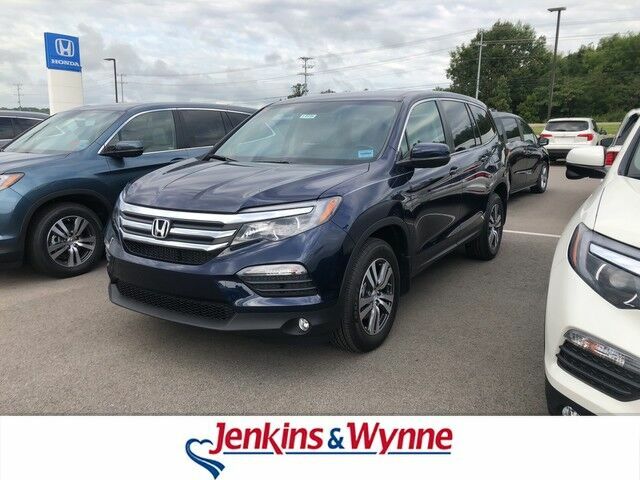 Contact Jenkins & Wynne today for information on dozens of vehicles like this 2018 Honda Pilot EX. Want more room? Want more style? This Honda Pilot is the vehicle for you. Few vehicles can match the safety and comfort of this AWD Honda Pilot EX. With enhanced performance, refined interior and exceptional fuel efficiency, this AWD Honda is in a class of its own. This is about the time when you're saying it is too good to be true, and let us be the one's to tell you, it is absolutely true. The Honda Pilot EX will provide you with everything you have always wanted in a car -- Quality, Reliability, and Character. TEXT: 214.914.1866 CALL: 931.538.7505 EMAIL: Sales@JenkinsAndWynne.com. Our pre-owned come w/ an oil change, windshield wiper fluid check, 50k mile compression check, atleast a 32pt inspection sheet, the AutoCheck vehicle report, and a 12month/12k mile power train warranty (on a vehicle w/ 80k miles or less/10 years or less/ excludes Diesels, also excludes Bargain Corral Vehicles). This is already over a $200 savings to you! Jenkins & Wynne has been proudly serving the Clarksville area since 1953!